A group of co-workers in New Jersey are about to get the bonus of their lives. A pool of 16 employees from the Ocean County Vehicle Maintenance Department in Toms River, N.J. is holding one of three winning lottery tickets from Wednesday's $448 million Powerball jackpot. Their boss, Jim Pine, said "I couldn't be more happy for them. They're a group of wonderful, hardworking people." Many of the winners have continued their normal work schedule even after news of their good fortune broke. Um, more power to you? The group's winning ticket was purchased at an Acme grocery store in Little Egg Harbor. Their identities have not yet been revealed. The store director, Phil Weber, said that the store would donate $10,000 worth of gift cards to local charities in Little Egg Harbor, which was hard hit by Superstorm Sandy last fall. There are two other winners from the nearly half-billion dollar jackpot. Paul White of Minnesota has claimed his prize, collecting a check for $58.3 million lump sum after taxes. White said he had been "waiting for this day my entire life" and will use part of the winnings to help pay for his children's college tuition. 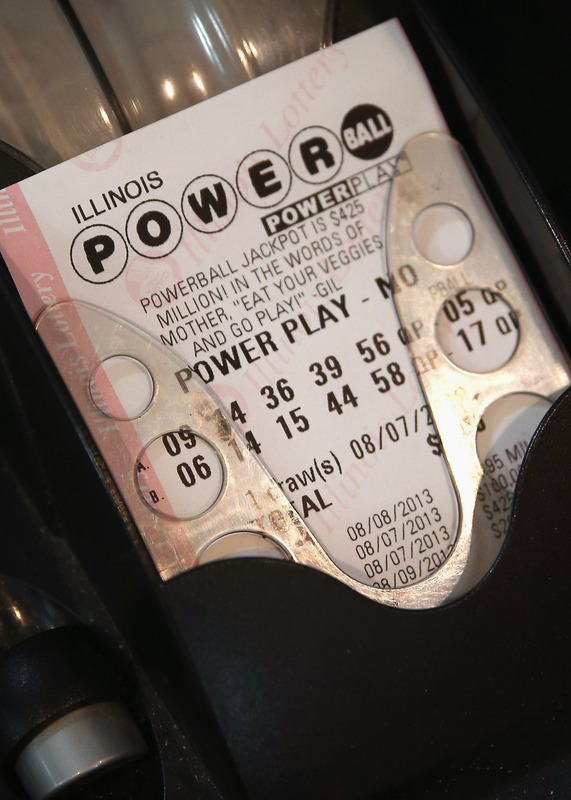 A third winning ticket was sold in South Brunswick, New Jersey. The ticket holder has yet to come forward.